In this instance, however, we don’t have to ponder how different the outcome would have been had a “good guy with a gun” been present at Pulse, as there was one: a police officer working extra duty. Despite being armed and even exchanging gunfire with the shooter, the officer was unable to prevent him from gaining entrance to the club. Most armed citizens fare worse than their police counterparts. In an independent studycommissioned by the National Gun Victims Action Council, researchers put 77 participants with varying levels of firearms training through three realistic self-defense scenarios. In the first, seven of the participants shot an innocent bystander. Almost all of the participants in the first and second scenarios who engaged the “bad guy” were killed. And in the final scenario, 23% of the participants fired at a suspect who didn’t actually pose a threat. All of this is demonstrably false. There was an armed police officer at Pulse, and he was very quickly joined by two fellow officers. Lott consistently mislabels many of the targets he studies as gun-free zones, ranging from Umpqua Community College in Oregon toHialeah, Fla., and many others. 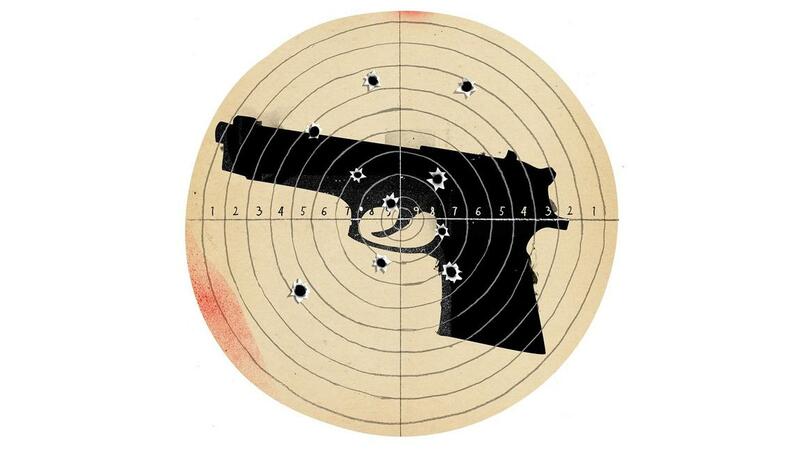 Further, if we examine the 33 mass public shootings in which four or more people were killed between January 2009 and June 2014, the evidence reveals that 18 occurred in areas where guns were not banned or had armed security present. The clear pattern that emerges from these incidents is that shooters have a personal connection to their target locations — some grudge against them, no matter how misguided. And when shooters choose a place at random, there is no substantive evidence that they gravitate specifically to gun-free zones. The Aurora, Colo., shooter, for example, left a diary spelling out his motivations and plans for the attack, in which he appeared far more concerned about finding a good parking spot than facing resistance. And in Orlando, the shooter clearly knew he was going to face armed resistance as he was a regular customer of Pulse and even tried to purchase body armor with his firearms. Applying this logic, why have any laws? If criminals are just going to run red lights, why have traffic penalties? The NRA’s reasoning is a prescription for chaos — and it doesn’t withstand contact with empirical reality. There’s clear evidence that laws do influence criminal behavior. Whatever Rubio believes, there’s clear evidence that laws do influence criminal behavior. One study, for instance, found that over the past two decades, terrorists in the U.S. have largely abandoned bombs. Why? One reason is that in the aftermath of the 1995 Oklahoma City bombing, federal legislation made it more difficult for consumers to obtain bomb-making ingredients and easier for law enforcement to monitor purchases. This new oversight led terrorists to revamp their tactics, replacing bombs with guns. An investigation by the Trace revealed that 95% of terrorism deaths in the U.S. between January 2002 and August 2015 were caused by firearms.